"I sawed this b-tch in half!" Flip a coin. If heads, the Defending Pokémon is now Knocked Out. 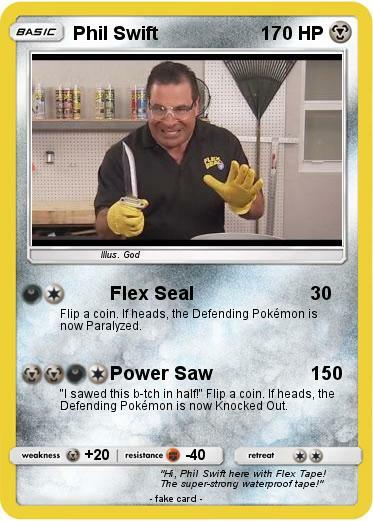 Comments : "Hi, Phil Swift here with Flex Tape! The super-strong waterproof tape!"